After a few days of hitting the bricks in Venice, it hits you...there is nothing but bricks and water here! Where is the "green"?! Our guide, Andrea, insists that google earth will reveal green patches of gardens tucked inside the courtyards of palazzo all over the islands, but as a casual visitor, on the outside of those courtyards, I wasn't seeing any green- no lawns, no trees, no swaths of shrubbery in front of buildings and no big city parks to give your mind a break from all the architecture.. To find the green around Venice, the best thing to do is get out to the other islands in the Venetian lagoon! One of the enjoyable parts of a tour to the lagoon islands is seeing Saint Marks from the lagoon! 1- Take a complimentary taxi/tour offered by one of the glass houses on Murano. This could involve a pretty hard sell at the glass house that sponsors the trip, and sometimes requires you to make your own way back at your own expense. 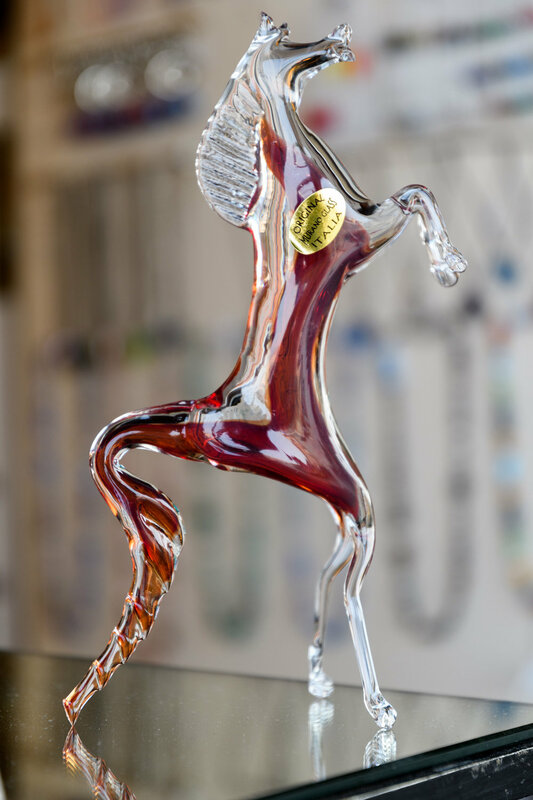 But it can be a budget option, if you can resist busting your budget on the beautiful glass art! 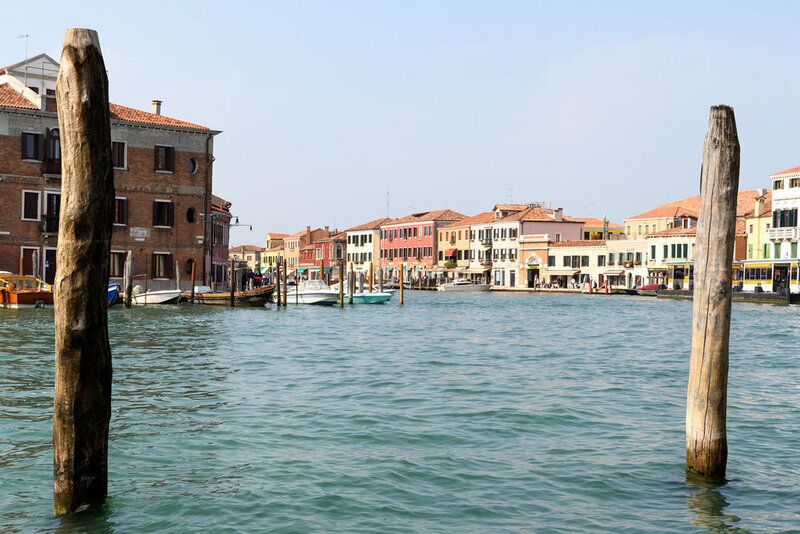 2-If you have an ACTV pass to ride the water ferries, you can ride them from San Marco or Foundemente Nuove in the north to the individual islands. Look for 12 Line. 4-You can hire a private taxi or tour to take you to the islands and wait for you between stops. Obviously, this is the priciest option! 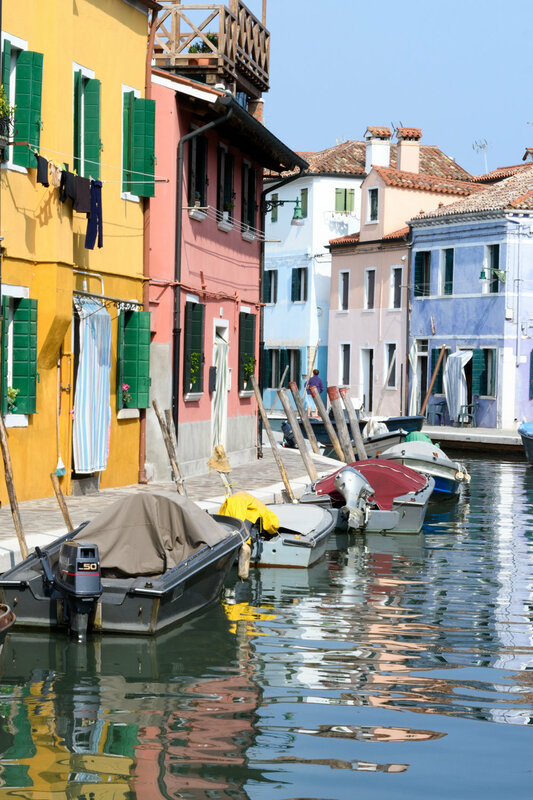 We visited the islands of Murano, Burano and Torcello on a boat tour with Alilaguna. This was a multi lingual tour, with a guide pointing out things in the lagoon in 4 different languages. We stopped was approximately 50 minutes -1 hour on each island. Other than a brief optional glass blowing demo, the time on the islands was your own to spend as you please. Lido, is connected to Central Venice by ferry (Bring your car over by car ferry from Tronchetto) This is a popular beach destination, but also one of the places where you can see trees in Venice. Our tour didn't visit Lido...it's a destination for our next rrip! Murano is known for it's glass blowers. Venice, has long been known for it's glass blowing artisans. Glass is blown after it's heated in huge furnaces and then it can be shaped and blown into beautiful pieces of art or useful household objects, such as chandeliers or glasses. 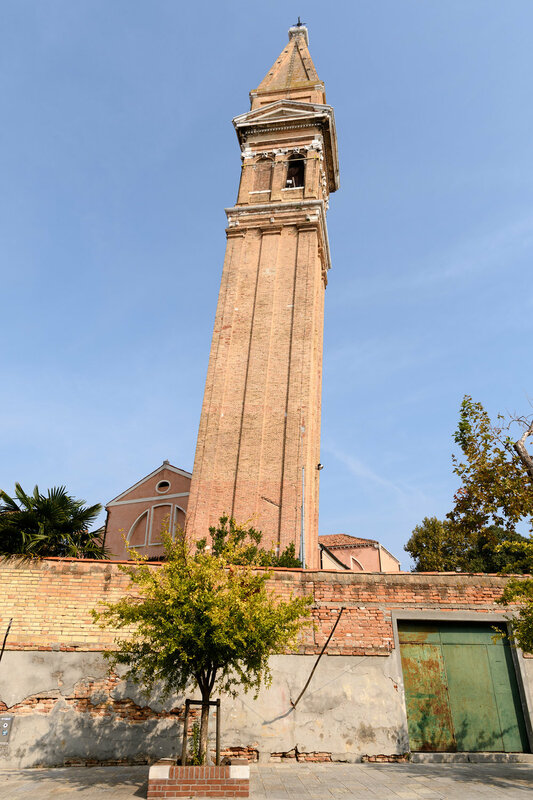 Unfortunately, in the past, those super hot furnaces often started destructive fires in central Venice, so the glass blowers were all forced to move to Murano in the late 13th century. Our tour included a visit to the the Ferro Lazzarini Furnace. There were several bleachers to sit in around the burning hot furnace room. While an artisan created items through blowing and twisting molten glass, a narrator explained in English, and Spanish what was happening and gave some history of glass blowing in Venice. 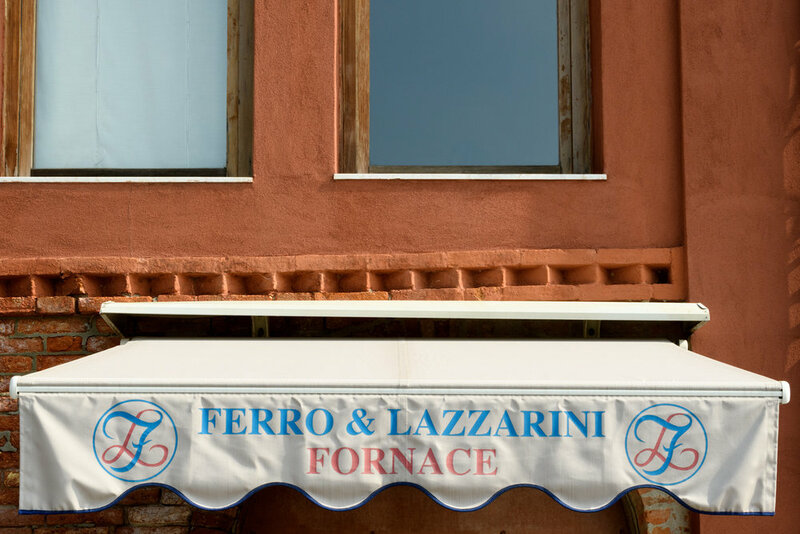 After the short demonstration, we had abut 45 minutes to either shop at the Ferro Lazzarini House Gallery, or wander around to the other shops and glass houses along the canal in Murano. 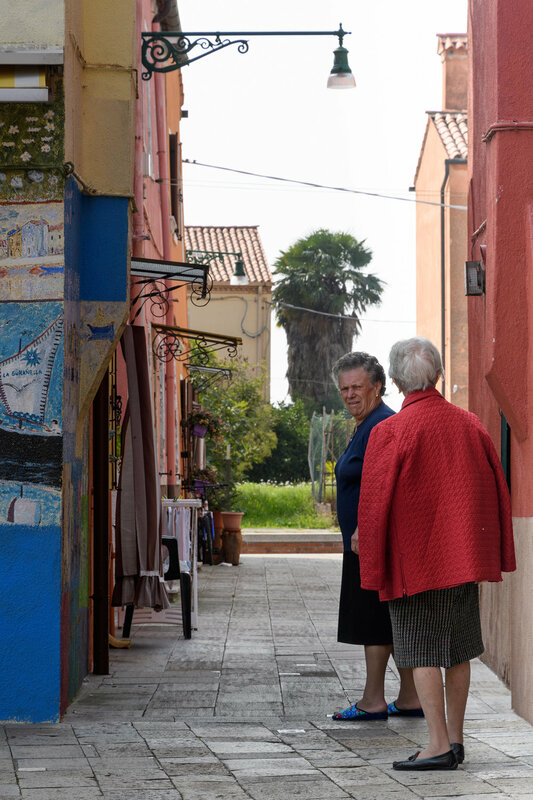 Our next stop was Burano, well known for it's lace (although given automation, it's rare to find anyone still hand making lace today) and colorful fisherman's homes along the shore. This is a good place to get a snack or sit in a cafe for espresso along the main area- Via Baldassare Galuppi. 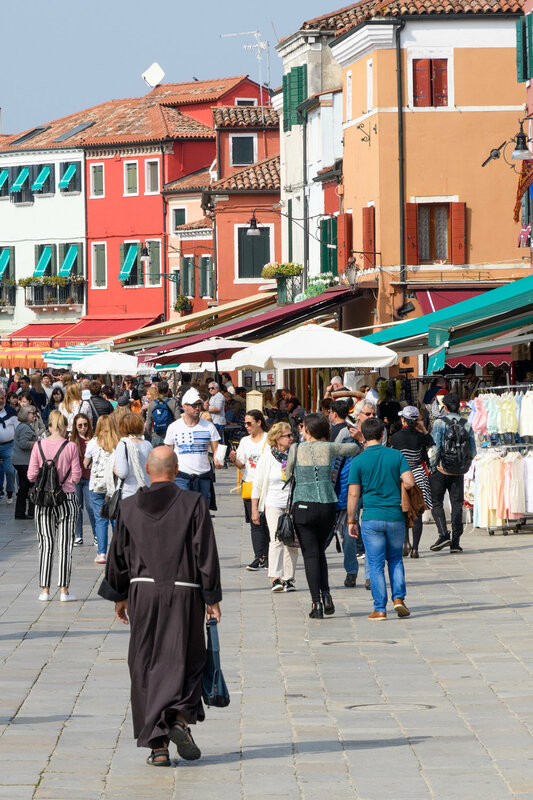 It's an easy walk from the ferry or tour boat dock into the main area, and you can follow the way to the the Church in Burano which has another "leaning" bell tower, and you'll see several picturesque pedestrian bridges. 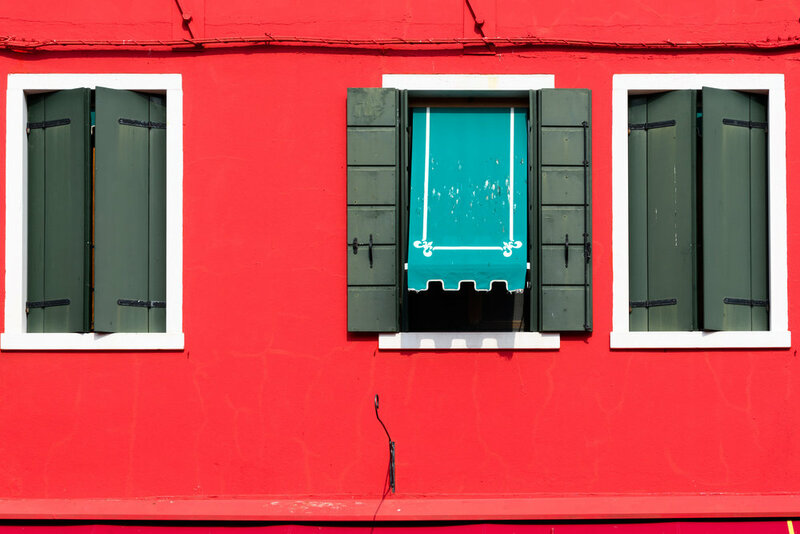 If you wander off the Via Baldassare Galuppi, you can see beautifully painted homes, many sporting big curtains draped over their doors; whether to keep bugs or tourists out, I can't say! Often called the green island, the ferry and boat dock is almost a mile into "town" along a wide canal-side walkway. 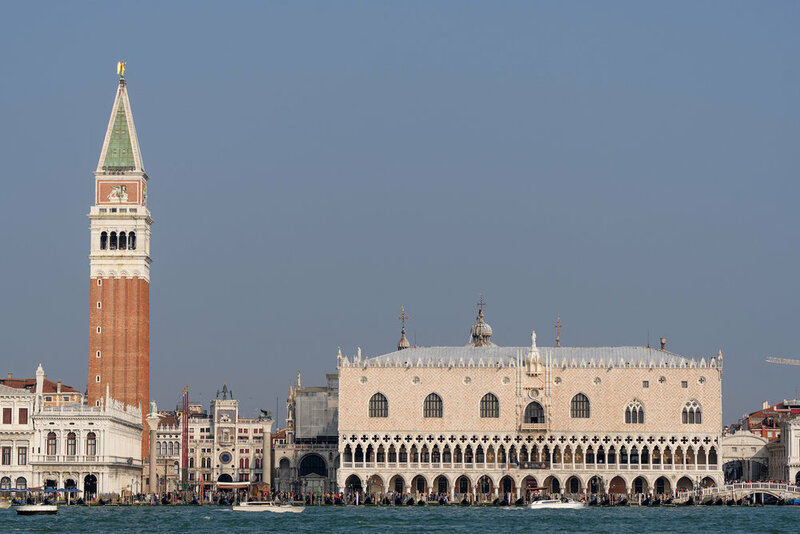 One of the oldest inhabited islands in the Venetian Lagoon, the Santa Maria dell Assunta there dates to the 6th century, although the Basilica there today was mostly built in the 11th century. This was the first place we encountered trees, lawns and even some farms connected to restaurants and pubs. 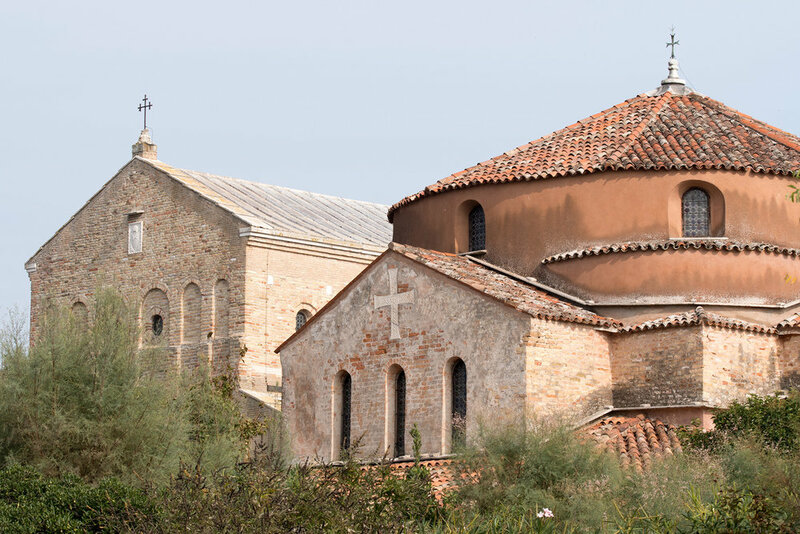 Torcello is a nice place to sit for a drink or coffee along the canal or explore the Byzantine churches. There is also an archaeological museum on a path along the canal near the vaporetto stop.